Your timber pest inspections in Upper Coomera, Coomera and all surrounding areas will be conducted in accordance with the Australian Standard AS 4349.3-2010 for timber pest inspections. A thorough inspection of the internal and internal areas of your property will be undertaken, focusing on identifying and reporting on any timber pest activity as well as any conditions identified that are conducive to timber pest attack. All areas of the property will be inspected for termites and timber pests including the interior and external timbers such as skirtings, windows, doors and cupboards, and accessible roof void and sub-floor areas, decks, pergolas, out buildings, garages, trees, retaining walls and fences. The Australian Standard AS 4349.3 – 2010 requires us to provide you with a Timber Pest Inspection Agreement before your inspections. After your inspection, our pest inspector will inform you of his findings and whether any further termite management or termite treatment is required to protect your property. He will also be able to provide you with a free quotation if required. Your pest inspector will also be equipped with sensitive movement detectors, listening devices and a thermal imaging camera. 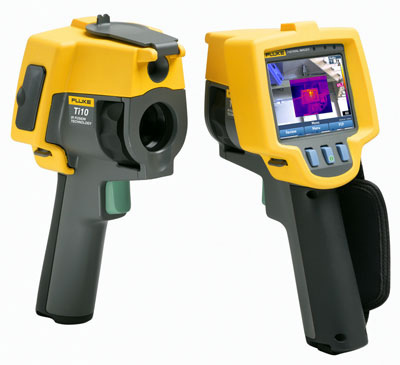 There is no extra charge for the use of thermal imaging cameras. Moisture meter: Detects high levels of moisture in internal wall cavities and exposed timbers. High moisture areas in a dwelling may attract or contain termite activity. High moisture readings are often located in or adjacent to bathrooms, kitchens and laundries. When high moisture readings have been detected then a recommendation will be made to have the area assessed further for termite activity. 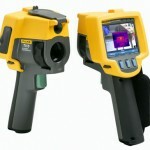 Thermal imaging cameras/infrared cameras are not included as part of the recommended equipment in the Australian Standards for the detection of timber pests. These cameras are a very useful piece of equipment, but they can be unreliable if climatic conditions are not suitable for accurate readings. Therefore, they cannot be used as a stand alone method for detection of termites. Your pest inspection report can also be emailed or faxed directly to you, your solicitor or conveyancer. If your report is urgent, our inspector will provide you with a verbal report to allow you to meet your deadline and follow this up with a priority written report asap. Our inspector is also available to personally discuss your report with you and answer any of your concerns. Invasive pest inspections may be recommended in your report if live termite activity was detected or suspected during your inspection or if high moisture readings were recorded. An invasive inspection may require a small area of timber or some plasterboard to be removed to view the extent of the termite damage or moisture problem. Permission from the owner/s of the property will be required before an invasive inspection can be undertaken. You may also require the services of a licensed Builder to ensure the structural integrity of the building is safe while invasive pest inspections are taking place.